Bella Bayliss is one of the most successful ironman-distance athletes ever with 12 Ironman wins and 15 iron-distance victories in total. An athlete well known for her frequent racing schedule was back on the start line for the first time in well over a year on Saturday, following the birth of baby Charlie. Challenge Fuerteventura was the returning race and a sixth-placed finish was the result. Here is Bella's report from Playitas. 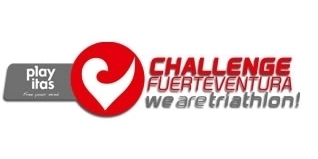 On Saturday I raced Challenge Fuerteventura, my first race back after having Charlie last year. The days leading up the the race I was excited, but a bit nervous too. In the end my nervousness was overshadowed by whether I would get to the start line or not! For the three days leading into the race, Charlie was not well. He cried and needed a lot of comforting through the three nights leading into the race. Then the afternoon before the race, Stephen and I got to experience what Charlie was feeling... a stingy sharp sore throat. Not nice. With Charlie still crying at midnight before the race, I really wondered whether I would be racing but I continued to go with the plan of racing. Once the gun went off, the racing all came back to me. I swam well and biked well for 50km managing to hold the two minutes that Emma Kate Lidbury took out of me in the swim. After 60km of hard riding in the hills and wind my leg muscles reminded me that they are not as strong as they used to be... yet! So, at 70km I had to back the pace right off to try to recover a bit for the run. I lost time here and girls passed me. Erika Csomor rode into the distance and Lucy Gossage flew past me but I had to recover and do my thing and just let them go. I ran the 21km, it was not impressive running, but I got to the finish line and it was so so good to be back with Charlie. Charlie is improving now, thank goodness. He had been a poor little thing. Stephen and I have sore throats and a cough but we will make sure we recover well. It was really good to see Dan race so well! I saw him in second on the out-and-back of the bike, and on the run he was still racing strong in second! Some prize money much needed in Dan's wallet! !